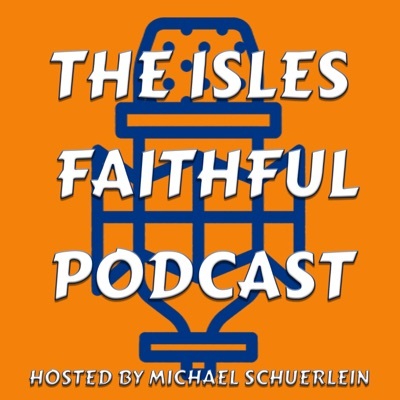 This post was published 10 years 5 months 5 days ago which may make its content inapplicable to the current Islanders roster and/or team news. This site is not responsible for any misunderstanding. How do you spell relief for your worst beating of the season? NYI. That’s the common abbreviation for the New York Islanders, the sad-sack team against which the reeling Senators open a home-and-home series on Thursday night in Ottawa (7:30 p.m. ET). Luckily, the Islanders appear to be just the tonic for any queasy feelings that may be lingering in Ottawa. Woah, wait a minute – this “unnamed” person can just get anything they want into an article because it’s “With files from the Associated Press”? Please, it’s not like their Senators are lighting the hockey world on fire either. So let me get this straight, the Islanders can go into this home and home series and potentially come out with the exact number of points the Sens have? Good – I hope they do just to show the little snob who wrote that article just how bad of shape the Senators are in themselves. If anything, stuff like this should really lift the drive and desire of the team, however according to Newsday’s John Jeansonne, the Islanders are having fun and know they are close to being a true competitor. They have patience and have faith that their coach Scott Gordon needs time to work out all the kinks. All in all, there is patience within the organization – it is the fans however that are on the fence with remaining patient. 2008 First round draft pick Josh Bailey played in his first NHL game on Monday, and he did just fine. He may not have gotten on the score sheet in the way he had hoped (0 shots and 2 penalties), but he was fairly solid on face offs (7 of 11 or 64%). I had the chance to give Bailey a quick interview in the locker room on Monday – and the kid was just beaming from ear to ear. He told me he was a bit upset with the penalties but that it was part of adjusting and I commented on his solid face offs, he said that was part of his game and he was glad be able to show the fans a small part of it. At times, when Bailey had the puck in the offensive zone on the Power Play, he was poised and very patient. He moved the puck smart and seemed to open up shooting lanes for his teammates. It was this solid play, that landed Bailey on a new line with Okposo and Hilbert. That line should be great because his wingers are smart, gritty and quick. If the Islanders want to be successful tonight, they need to keep to their plan for their first 40 or so minutes – and extend them into the third period. The game they played on Monday was fairly decent, if they would have scored on one or two of their power play opportunities they could have either won or gotten into extra frames. The on ice product is getting close, it’s just a matter of getting the team healthy and firing on all cylinders. Hopefully they can figure that out tonight in Ottawa. I am not feeling well tonight, so there won’t be a live blog – but I will do a recap later on or tomorrow. Bailey and Schuerlein IN Against Philly! Finally got our first goal on our 14th shot on goal…atta boy Okposo. Pretty good first period thus far. NYI is the common abbreviation for the New York Islanders? Who knew?! Explains that whole NYI Blog Box thing. Bailey looks great tonight, I see no reason why he couldn’t stay up – he is leaps and bounds better than Comrie has been. Seriously, I am just losing my patience with all these “professionals” and their dumping on the team. Granted, sometimes it is deserved – but it’s just getting really annoying now. First time they played all 3 periods in a while. I now have a newfound hatred for the Senators for the way they showed no respect to the Isles. 1 more win in Saturday and we’re tied with Ottawa with 14 points. Yea and if they win on Saturday – a big fat middle finger to the Ottawa press. Pock is definately gone for two games – unintentional or not….Ruutu just got the same. Strong play in all zones, on the power play, penalty kill and even strength. This was a complete game if there ever was one. However, one detail – too many penalties. Thanks for the well wishes – hopefully you are a Habs fan – as they are my favorite Canadian team. I don’t hate the Leafs, but it’s the closest to Islanders-Rangers rivalry as you can get. 1) Nice to see the Isles win where they have had little success in the past. Especially with the gloating press anticipating a win by the locals. People in glass houses shouldn’t shhot pucks! 2) Maybe they need to reassess their own teams futility. How many Cups in Kanata in 16 years of hockey? By that time(16 years) the Isles were finished with their dynasty. At least you guys can look back at that with pride. Wow, and I didn’t think last night’s win could taste any sweeter. But after that link, ha! The Sens Nation seems to be in a malaise … all those years of patiently watched early exits, then the “on the cusp” Finals loss was followed by last year’s ugly exit. Now there is a “our window passed” feeling. Guess their press tries to lift their spirits by beating on “sad sacks” south of the border (commonly known as the United States).